Birthplace : Los Angeles, California, U.S.
Roberta Achtenberg, born July 20, 1950 in Los Angeles, California, United States is an American politician. 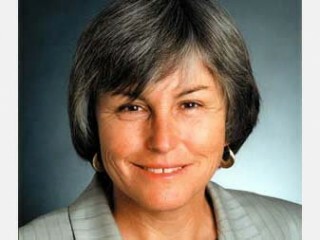 Although the lesbian and gay community would likely hail Roberta Achtenberg for such achievements as being the first lesbian--in fact, the first openly gay person--ever to be nominated by the president and confirmed by the U.S. Senate (she was appointed to the position of Assistant Secretary for Fair Housing and Equal Opportunity by President Bill Clinton in 1993) or for being the supervisor of the San Francisco Board of Supervisors, Achtenberg sees her own accomplishments in a much different light. Although Achtenberg readily acknowledges that her appointment by President Clinton--and the Senate's confirmation--was "a milestone for the [gay and lesbian] movement," she does not feel that the appointment itself was the most significant thing. This reasoning comes about because she measures her own successes by a different standard: "The most important thing about being the Assistant Secretary for Fair Housing," she says, "is being the best Assistant Secretary that ever was--not for the sake of being the best," but for affecting change and for being effective in the position. "Doing the job right," she reiterates, "is more important than being the first" to hold the position. It is this outlook that she brings to life's challenges and it appears that it is this philosophy which drives her to accomplish and enables her to see success where others might not. Roberta Achtenberg was born on 20 July 1950 to Beatrice and Louis Achtenberg. The Achtenbergs, a family of six, lived in Los Angeles and owned a small store. Achtenberg learned at home what would serve as the foundation for a lifetime of accomplishment: respect "for the values of family, hard work, and community." Influenced by her brother's struggle to be independent in spite of his being confined to a wheelchair, she vowed early on to help those in need. Her career to date has been about precisely this ambition--helping those in need by challenging and changing the status quo, and by making legal and governmental protections available and accessible to those requiring them. To date, the measure of her own success has been based on how well she has effected change; how many people have had the circumstances of their lives changed, for the better, because of her work. Achtenberg and her partner, former San Francisco Municipal Court Judge Mary C. Morgan--the first openly lesbian judge--have been together since 1983. Morgan, who is currently a Deputy Assistant Attorney General at the Department of Justice, has temporarily relocated to Washington, D.C., with Achtenberg and their son, Benji, where they will remain until both of them complete their tenure with the Clinton Administration. Prior to the 1992 presidential election, Achtenberg was one of the first elected officials in California to endorse Clinton. In fact, she campaigned extensively for the candidate, serving as national co-chair of the campaign and later as Clinton's appointee to the prestigious platform drafting committee. She was also selected to address the Democratic National Convention in defense of that platform. Shortly after Clinton took office, Achtenberg was appointed Assistant Secretary for Fair Housing and Equal Opportunity and one of the most grueling Senate confirmation hearings followed. As Assistant Secretary of Fair Housing and Equal Opportunity Achtenberg was the chief enforcement officer of the federal Fair Housing Act and of civil rights laws governing Department of Housing and Urban Development (HUD) programs. Among the many things she has accomplished, she ranks her work with housing at the top of the list: "integrating housing, restructuring the bureaucracy, housing people." Among other things, she took on the Ku Klux Klan to successfully integrate the public housing in one Texas community; she helped more than 13,000 low-income families find new homes after the 1994 earthquake in Northridge, Los Angeles; and even developed the first ever national Best Practices Fair Lending Agreement with the Mortgage Bankers of American and a Best Practices Agreement with the National Association of Home Builders. According to HUD Secretary Henry G. Cisneros, under whom Achtenberg worked, she "made a substantial difference in the lives of many Americans who might otherwise have faced housing discrimination." Also high up on her own list is her work as legal director for the Lesbian Rights Project of Equal Rights Advocates (1984-1988)--fighting for "family rights of gay and lesbian people"; and the publication of her book, Sexual Orientation and the Law, which she calls a resource "very much needed...for lawyers representing lesbian or gay clients." Of providing this essential volume, Achtenberg says, "I was glad to have done it." As county supervisor in San Francisco, Achtenberg was an advocate for "basic things": families, children, a cleaner environment, crossing guards, etc. "Someone needs to do that stuff," she says. "I got to do it." She also penned the city's original "Sunshine" ordinance that allowed full public scrutiny of virtually every aspect of city government. She later drafted legislation to improve water recycling, promote ground water reclamation, and to require city agencies to protect the environment by reducing the use of wasteful paper products. Chief among her concerns as supervisor was child-care for low income families. During her time on the San Francisco Board of Supervisors she worked for legislation that would require developers either to build child-care facilities or to contribute to a child-care fund for low income families. Her efforts resulted in legislation providing monthly child-care subsidies to graduates of job training programs as well as a guaranteed $10 million annual allocation to establish and administer a children's budget. But one of her proudest accomplishments while on the Board is her legislation establishing the San Francisco Commission on National Service, which has made substantial progress in promoting and directing the work of young people in San Francisco's neighborhoods. Before her tenure on the San Francisco Board of Supervisors, Achtenberg had already distinguished herself as one of the country's leading civil rights attorneys. She has taught at the Stanford Law School, served as Dean at the New College of California School of Law, and as a member on the Board of Directors of the San Francisco Neighborhood Legal Assistance Foundation. In 1989, Achtenberg was selected by the United Way of the Bay Area as Management Volunteer of the Year and in 1993 she was the California Senate's Woman of the Year for the Third Senate District. She has also received much recognition and many honors for her efforts on behalf of women's and gay and lesbian rights. Among them is the Lifetime Achievement Award which was presented to her by the Lambda Legal Defense and Education Fund in 1990. She also received, during her time as Assistant Secretary for Fair Housing and Equal Opportunity, the National Performance Review's Golden Hammer Award from Vice President Gore for "streamlining her office's grant-making program, for saving the federal government millions of dollars, and for improving the quality of service to the public." Although the greatest challenge of her career might appear to have ended in failure, Achtenberg says of her attempt to win the 1995 San Francisco mayoral race: "I thought I did extremely well. I was wildly successful. The only thing I didn't do was win." In a campaign where she was severely out-financed by her opponents, Achtenberg did do extremely well. So, will she run again? "We'll see," she says. More important than whether she won or lost, or whether she'll run again, she says, is what she took away from the campaign--the realization that "there is life after loss," something she says, "many [political hopefuls] don't realize." The belief in a "life after loss" is clearly evidenced by her return in February 1996, after the San Francisco mayoral race, to HUD where she continues to chip away at the endless layers of bureaucracy, seeking to eliminate redundancy within the agency, and working for a more efficient, effective system. Upon returning to HUD, Achtenberg assumed the position of senior advisor to HUD Secretary Cisneros. In that capacity she works to develop and implement Clinton administration and departmental policy on housing, home ownership, and community-based economic development. When emergencies arise, it is her job to quickly formulate and implement effective solutions. Achtenberg maintains that she has no ultimate career goals. "That's not how I do my [life]. I don't do something [in order] to do something else," she maintains. Nor does she have any short term goals aside from returning to California because, as she says, "my son needs to start middle school back in San Francisco" in the fall. "It is important," she adds, "for him to spend his adolescence and high school years at home." It is safe to say that whatever lies ahead will be a continuation of her commitment to eradicate discrimination, to make the basics readily available to the average person, and to continue to fight for change in government. Clearly her greatest contributions to the gay and lesbian movement are the publication of her book, Sexual Orientation and the Law, and her appointment as Assistant Secretary for Fair Housing and Equal Opportunity--controversial, she says, only because the radical right made it so. "You don't know what it's going to be like," Achtenberg says of the ordeal of going through the historic, grueling senate confirmation of her appointment where she endured not only the routine questioning of the Senate committee, but also withstood the attacks on her character by Jesse Helms and others. "You [draw from] other burdens you have borne" when you face something this difficult and you get through it. Achtenberg maintains the process wasn't nearly the big deal for her, however, that it was for the public. "Doing a good job," she stresses, "is exceedingly important...wanting to lead your city...[tapping into] people's best instincts not their worst fears." These are the things that Achtenberg considers more important than all of the firsts she has accomplished.